We may ask what incited the Muslims of Abyssinia to return to Makkah three months after their emigration. It is at this stage that the story of the goddesses is told by ibn Sa’d in his AL Tabaqat al Kubra, by al Tabari in his Tarikh al Rusul wa al Muluk, as well as by a number of Muslim exegetes and biographers. This story arrested the attention of the western Orientalists who took it as true and repeated it ad nauseam. 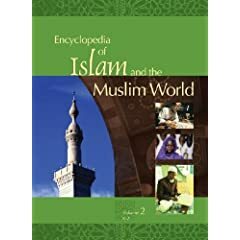 Thisstory tells that realizing how alienated the Quraysh had become and how intensely they had persecuted his companions, Muhammad expressed the wish that a revelation might come that would reconcile his people rather than further alienate them. When, one day, he was sitting with the Quraysh in one of their club houses around the Ka’bah, he recited to them surah “al Najm.” After readingthe verses, “Would you consider al Lat and al `Uzza? as well as Manat, the third goddess?” [Qur’an, 53:19-20] he continued the recitation with the statement, “They are the goddesses on high. Their intercession is worthy of being sought.” He then proceeded with his reading of the surah as we know it. When he finished he prostrated himself, and all the Quraysh likewise followed him. At this moment, the Quraysh proclaimed its satisfaction with what the Prophet had read and said, “We have always known that God creates and gives life, gives food, and resuscitates. But our gods intercede for us with Him. Now that you have allowed for them a place in your new religion, we are all with you.” Thus the difference between Muhammad and the Quraysh was dissolved. When the news of this reconciliation reached Abyssinia, the Muslims there decided to return to their beloved country and people. As they reached the approaches of Makkah, they met some Kinanah tribesmen who informed them that Muhammad allowed the gods a good position in his religion, reconciled the Quraysh, and was now followed by everyone. The story then relates how Muhammad reverted by blaspheming those gods and the Quraysh reverted to persecution. It further adds that the returnees stopped to consider what their next course should be. They longed so much to see their relatives and next of kin that they went ahead and entered Makkah. Other versions of the same story give detailed descriptions of Muhammad’s attitude toward the gods of Quraysh. They claimed that Quraysh’s plea that if he but grant their gods a share in his religion the Makkans would all support him troubled the Prophet. They relate how Muhammad one evening reviewed surah “al Najm” with Gabriel when the latter made a timely appearance. When he arrived at the sentence in question, Gabriel asked where it came from. Muhammad answered; “I must have attributed to God that which He did not say.” God then revealed the following verses: “They have almost succeeded in inducing you, under promise of their friendship, to attribute to Us, against Our command, that which We did not reveal to you. Had We not confirmed you in your faith, you might have been tempted and hence fallen under the inescapable punishment.”[Qur’an, 17:73-75]. Thereafter, Muhammad returned to his condemnation of the gods, and Quraysh returned to their persecution.